Today morning I went in search of trouble and found it. The only way to pass this quarry was to go around it using a dirt track (top right in the picture). 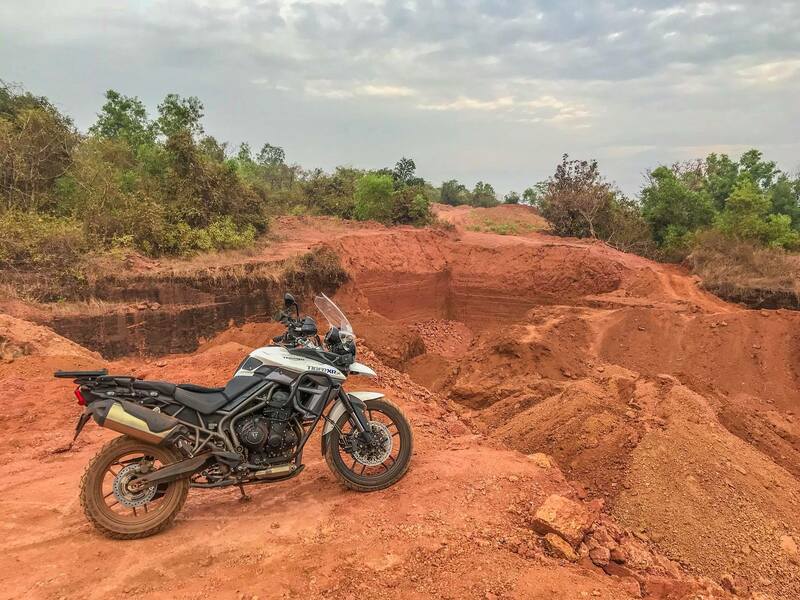 It seemed like an easy thing to do on an adventure motorcycle until I realised that the soil on the track was too soft. The heavy motorcycle sank into the soil as I tried to climb up the slope. Twisting the throttle made the rear wheel dig a deeper hole. With no help anywhere around me, I pushed and shoved and finally managed to wiggle the motorcycle loose and turned it around. I took my bruised ego back home with me and promised to come back here with my Impulse with knobbies.